www.luvz2scrapbook.com: Heart2Heart Challenges "Party Animals"
In case you're wondering why I am only using Studio J projects, I am currently working in Hilo Hawaii for the next few weeks and since I don't have access to my traditional scrapbooking and card making goodies I've decided to create my projects using Studio J. As soon as I get back to the mainland (aka home...) I will go back to my traditional projects. 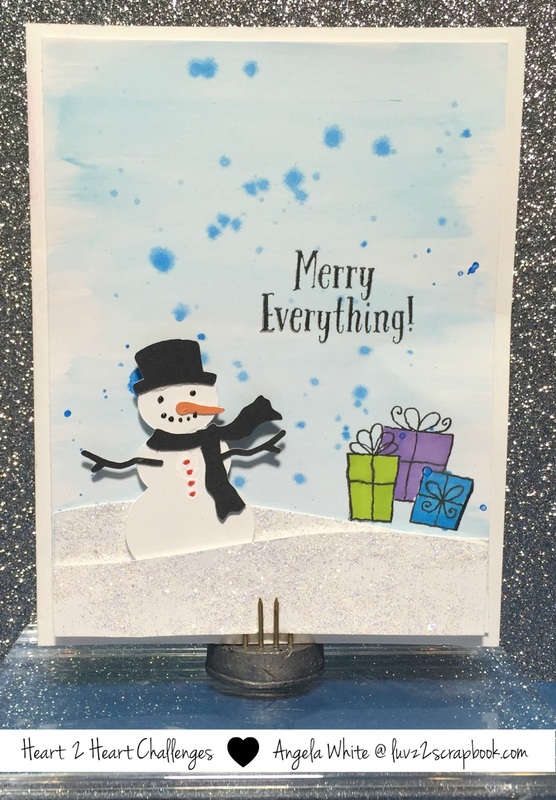 In the meantime, I hope you like my Studio J projects as much as I enjoyed creating them. This week's Heart2Heart challenge is "Party Animals". 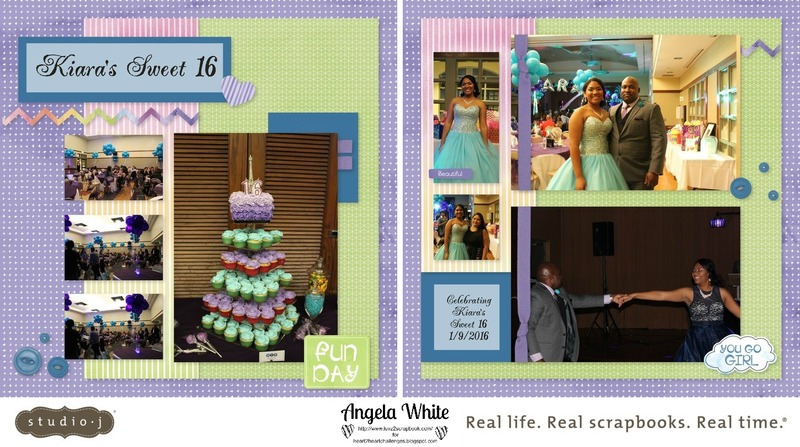 I created this fun two-page layout to share some more of my daughter Kiara's Sweet 16 party. I thought it would be fun to share the "Party Animals" from her party. For this layout I picked the "Kaleidoscope" kit and the "Photo Moment" pattern. I customized both the kit and pattern for my layout. Heart2Heart Challenges "Favorite Paper Pack"